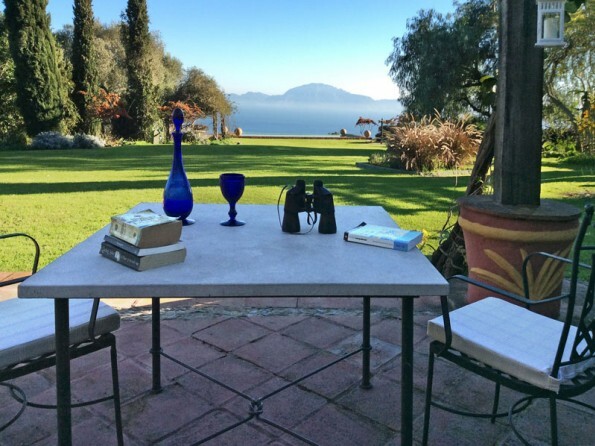 Overlooking the Gibraltar Straits in full, the 150 year old Cortijo La Hoya and it is set amongst the Tarifa hills and within Los Alcornocales Natural Park. 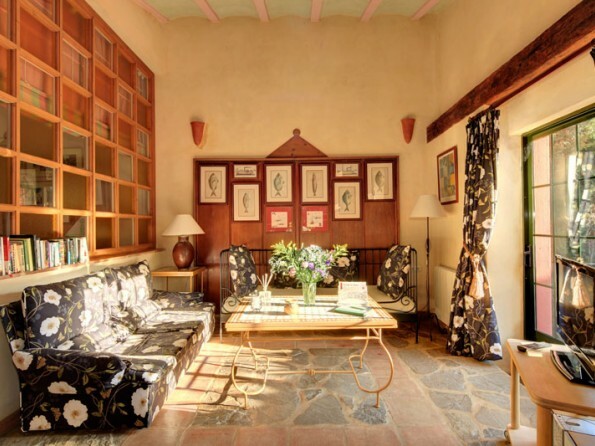 From your cottage enjoy the panoramic views of the rugged coast of Morocco, only 14 kms away, with its terracotta villages perched on the Rif Mountains. 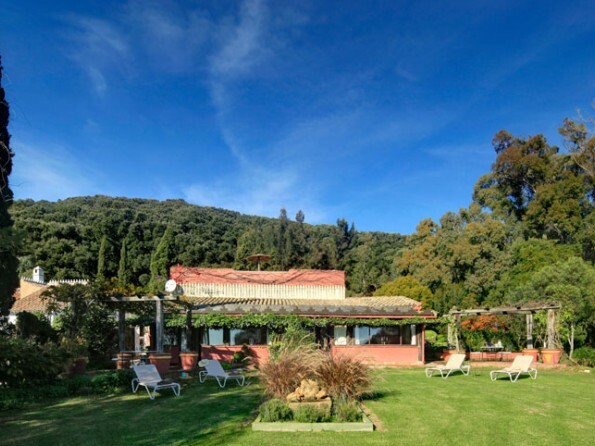 A 3 kms.drive through cattle farms and corkoak forests will bring you to Cortijo la Hoya. The 2 mile drive from the main road N340 to Cortijo La Hoya runs through farmland, cork oak and wild olive tree forests, eventually opening up to the fabulous views of the sea and mountains. 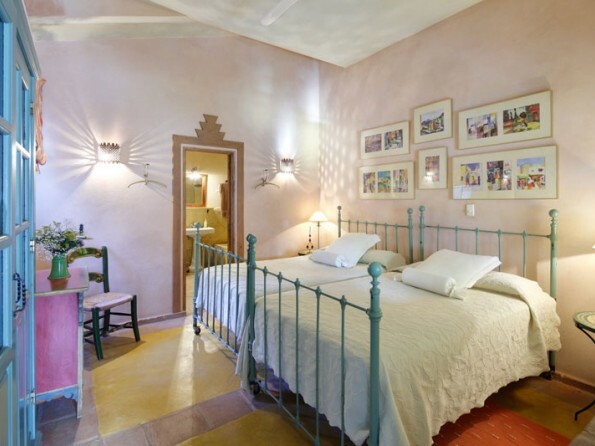 The historic ancient town of Tarifa with its moorish castle, narrow streets and spectacular white sand beaches, is only 7 miles away; enjoy its fish restaurants, bars, shops and street terraces where you can sit and watch local life go by. 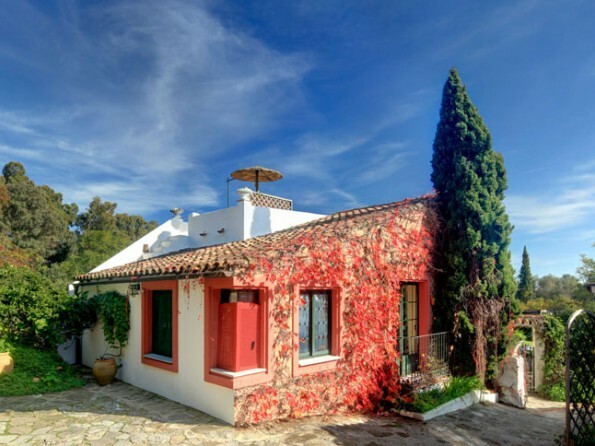 Day trips to the Andalucian white villages in the hills or along the coast are easy to do. 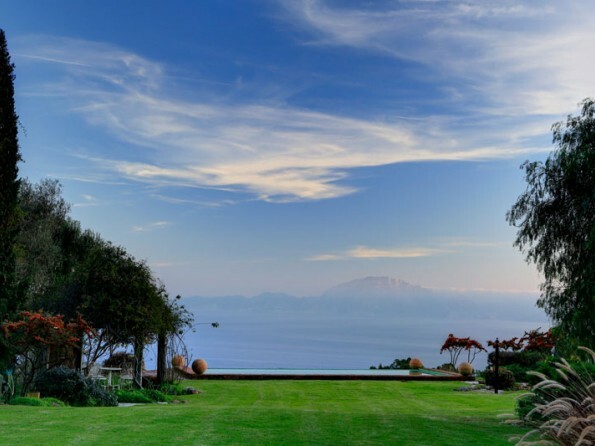 Morocco - an exotic and elusive world - can be reached in 35 minutes sailing from Tarifa. 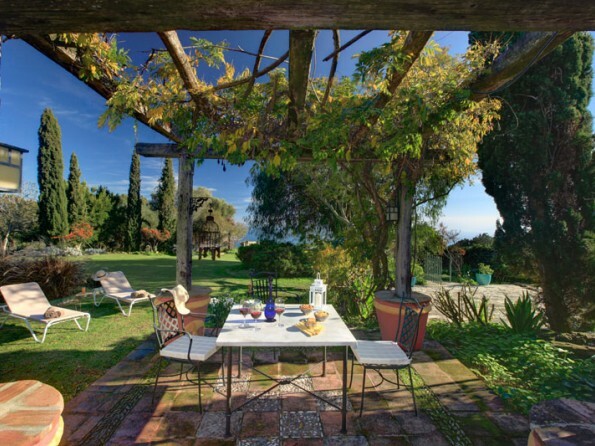 Country walks, birdwatching from the terrace, trekking, windsurfing, golf,swimming and sunbathing are easy to do in the area. Malaga-Algeciras A7/E15, 1,5 hrs.Algeciras-Tarifa-Cadiz N340.After Algeciras at km.97 Pelayo village, turn right into Pelayo. From there follow instructions on our access map which will be sent when booking.Jerez de la Fronter-Algeciras A381, 91km.Gibraltar is your closest airport (25km). N.B. Access to the property is via a 3kms dirt track off the N340, is not always in perfect condition, sports cars NOT recommended. 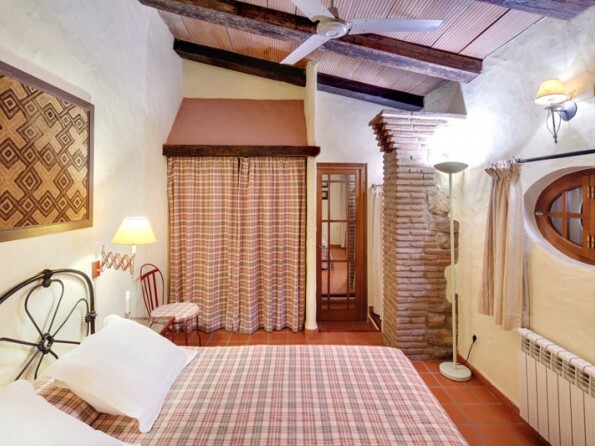 Each cottage has a double bedroom (1,60x2,00)with an ensuite bathroom (Casa Sol has a large shower, Casa Luna and Casa Tramontana a bath/shower). 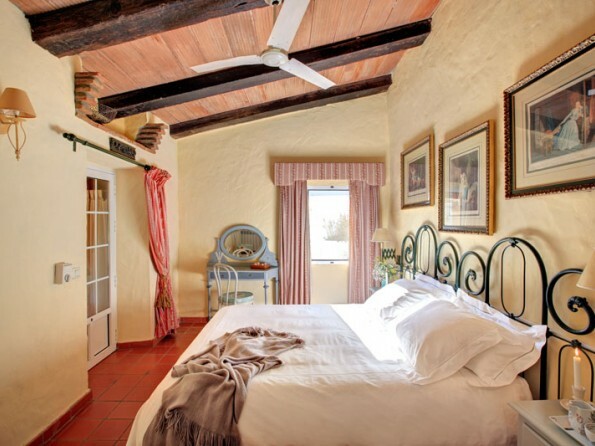 The three cottages are fully equipped and all necessary linen and bedding provided. 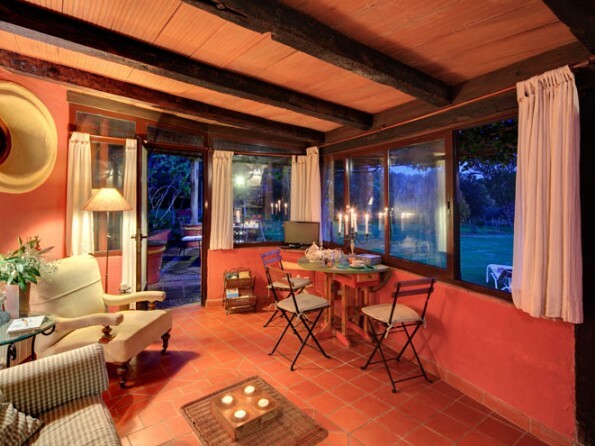 Each have a verandah style sitting room with fully equipped kitchenettes and eating area. 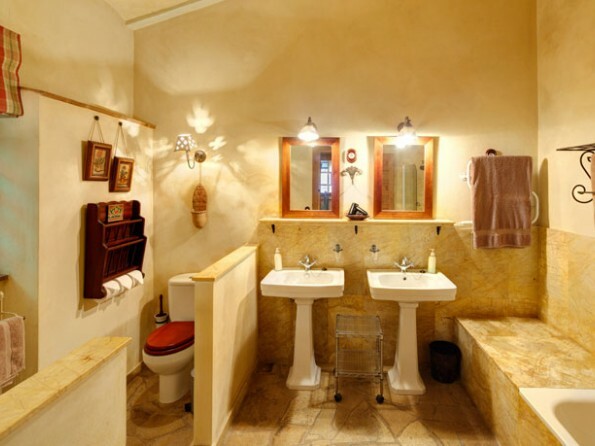 There’s central heating for winter and ceiling fans for summer.There are laundry facilities at your disposal in the main house. 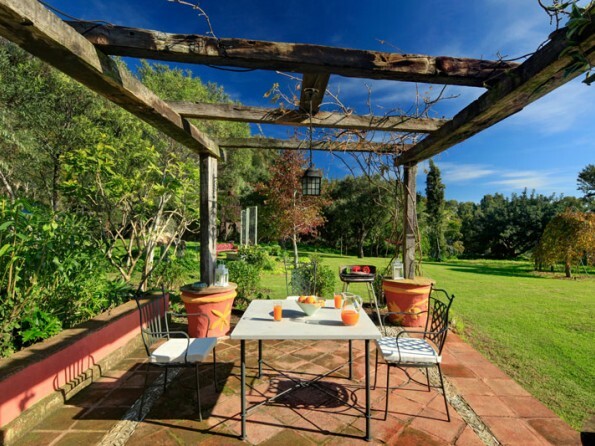 Casa Luna and Casa Sol have a plant covered terrace giving you direct access to the lawn, large garden with secluded corners and the Straits of Gibraltar. 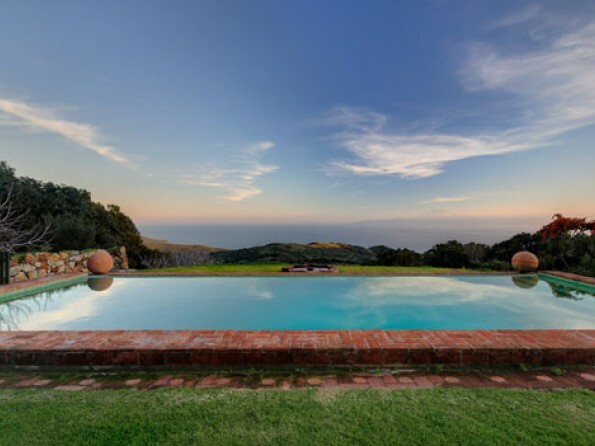 Casa Tramontana has a roof terrace with panoramic views and an enclosed ground level patio There is a shared "infinity" swimming pool (12m x 5m) which overlooks the sea and ample parking. If you don'’t feel like exploring, just relax in the cottages of the Cortijo; read on the terrace or in the beautiful garden, listen to music, watch the ships sailing through the Straits of Gibraltar and the birds flying over the hills, sunbathe or swim in the perfectly positioned infinity pool.Why not try some horse riding or trecking throught the hills.The historic, ancient and charming town of Tarifa is only 11kms.away;enjoy its fish restaurantes, visit its splendid beaches, enjoy a kite/windsurfing day, relax on its beach bars, do some whale/dolphin watchig out at sea. The beautiful "Sierra de Cadiz" and its white villages are at hand. Deposit on confirmation by bank transfer of PayPal system. Balance on arrival or before arrival via PayPal. No credit cards. Food hamper available on request to be put in your cottage in time for your arrival. Arrival from 2pm. Departure by 10.30am. Minimum stay 3 nights (7 nights in Jul, Aug and Sep). Changeover day is Saturday.